I am a passionate advocate of high quality outdoor learning experiences across all areas of the curriculum. A qualified teacher with a PGCE from Oxford University, and over 20 years in the field of outdoor learning, I enjoy devising and facilitating high quality learning experiences for all – from foundation stage children to adults. Deriving tangible educational benefit for children is central to my work. 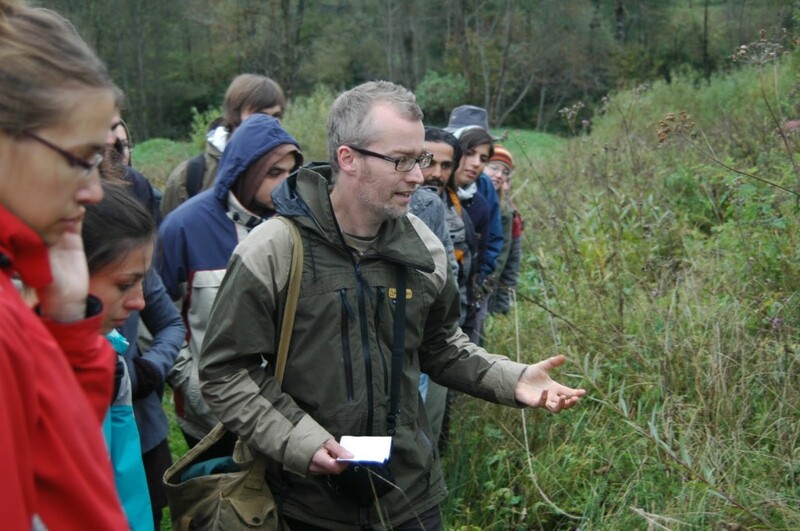 In recent years, I’ve delivered hundreds of days of Forest School programmes across northern Devon and professional training courses for educators in the UK and abroad. 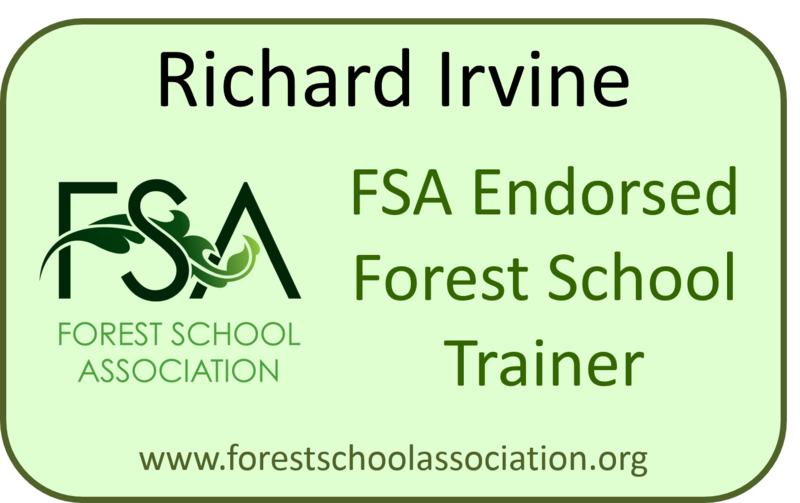 Outside the formal education sector, I have worked as Woodland Projects Officer for South West Forest and as Head of Centre for a Devon County Council outdoor education centre. I ran the Level 3 Forest School training course at Duchy college from 2012 but now work entirely independently. 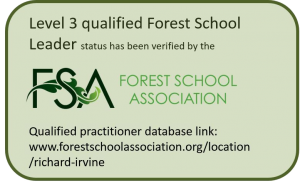 My specialist knowledge in woodlands and experiential education is born from a love of woodland and the outdoors and many years working for forestry and education organisations. An accomplished greenwood carver, I bring woodcraft into my work wherever possible through progressing childrens skills at Forest School as well as running professional development workshops and recreational carving days for adults. 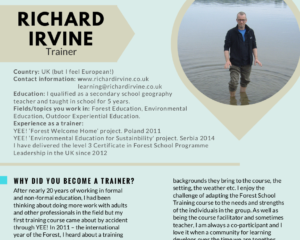 To find out more about my approach to training, you can read my interview with Youth and Environment Europe as part of their ‘Meet the Trainer’ project.